Thyssenkrupp shareholders are urging the group to clinch a deal with Tata Steel to merge their European steel businesses this year, warning failure to do so would be a blow to its credibility. 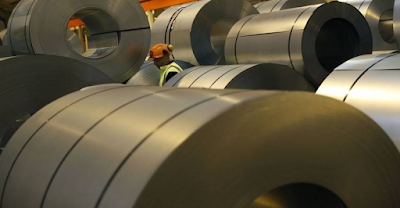 Talks between the two firms over a potential combination have been dragging on for a year and a half, held up mainly by lengthy negotiations to cut Tata Steel’s pension liabilities in Britain that ended with an agreement last month. A deadline for objections against the agreement ends on Friday, with no complaints expected, clearing a further hurdle for the two parties to sign a memorandum of understanding and start a detailed look at one another’s books. A source familiar with the process said this due diligence would start in October, following general elections in Germany later this month, with the subsequent negotiations about further details expected to take several months. Thyssenkrupp – in which Union Investment is a top 20 shareholder with more than 45 million euros ($54 million) worth of stock – has seen its shares outperform German blue-chips so far this year. Investors see further upside if a deal is struck. “Everyone expects that the deal is coming. If that doesn’t happen it would be a disappointment,” said a top-10 shareholder not authorised to speak about listed stocks on the record. “If there is a successful tie-up there is upside of 10-20 percent for Thyssenkrupp,” the shareholder added. Hiesinger has campaigned for a joint venture as his favourite option to reduce Thyssenkrupp’s stake in the volatile steel sector, garnering support from investors but drawing complaints from labour unions that fear layoffs. Hiesinger has not committed to a timeline for any deal. Workers also fear Thyssenkrupp could become a minority shareholder in the planned joint venture, which would enable the group to deconsolidate the business and load it with debt to repair its own stretched balance sheet. That would take away the right to co-determination that German workers enjoy over key corporate decisions.